If that’s not a good sign I don’t know what is— Jeff opened the reception with the sweetest words about Kate. I love hearing people talk about their partners. We all think “wow what great love!” Or “that’s so sweet” but beyond our first instinct of that emotion it was more than that. You could tell they were proud to be each other’s partner. It’s not so easy to find until you do— Pride in its most selfless nature. Be proud of the hand you take and the life you get to create together. It was obvious that these two are were meant to be together. From learning about their histories, how they met, and the support they provide each other it all came full circle on their wedding day. Married by her father in a sun filled sanctuary, the ceremony was exceptionally special. A personal sermon, sentimental songs sung by family, intimate vows and honoring history. After the ceremony we all headed to Terrace 167 for photos, drinks, and a extremely well thought out reception that was unique and exactly Kate + Jeff. 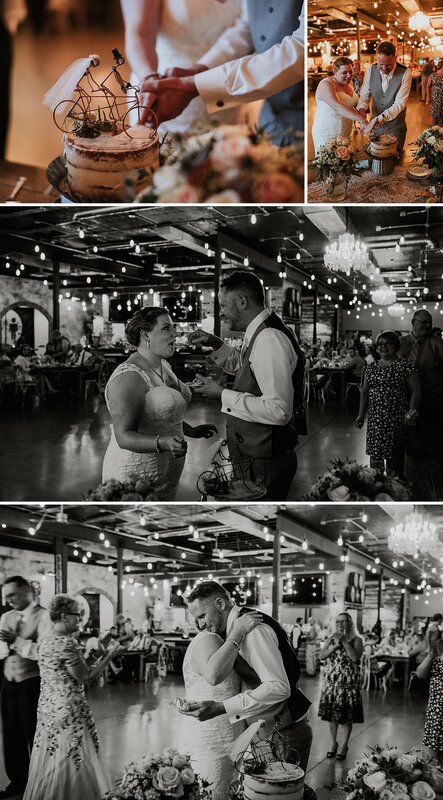 Kate put a lot of time into the details of the day and she definitely created an experience for her guests. Bicycle themed due to their mutual love for bike rides, they incorporated elements of their hobby into the decor and entertainment. 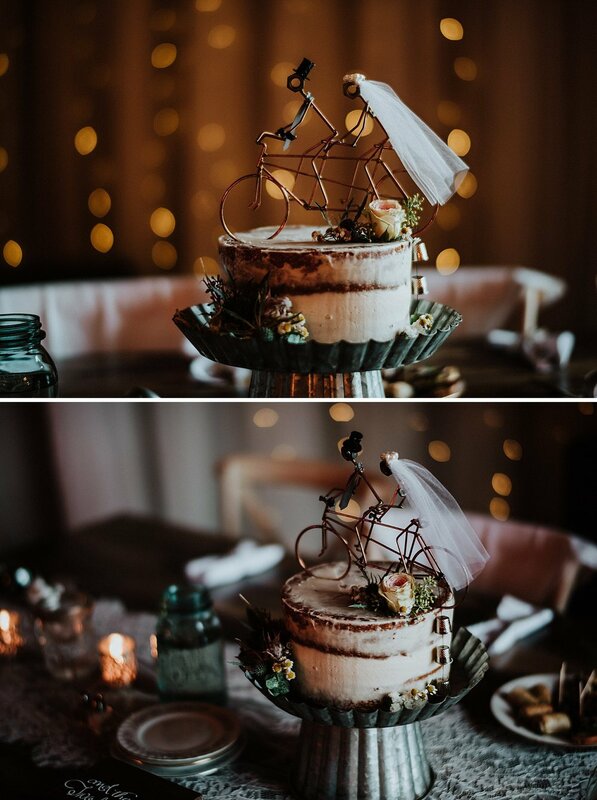 Bike bells for party favors kept the room alive and the cake topper was hands down the best I’ve ever seen. Polaroid cameras for guest book signing and a white bike to take photos with. The entire room was filled with love + comfort and truly felt like a celebration to honor their paths in life and what’s ahead. I present you, Mr. + Mrs. Patten. There were a wonderful group of vendors that made this day possible!